While sprinting, jumping, and other high-level sports competitions are exciting when the participants are using prosthetic devices, these types of events don’t reflect the activities most amputees must do on a daily basis. Lower- limb amputees are more likely to face the challenges of walking up and down stairs, across uneven terrain, and through crowded stores, while upper-limb amputees are more likely to face the challenges of preparing meals, changing lightbulbs, hanging clothes, and doing other household and work tasks while using their prostheses. Now there’s a competition for those kinds of activities. 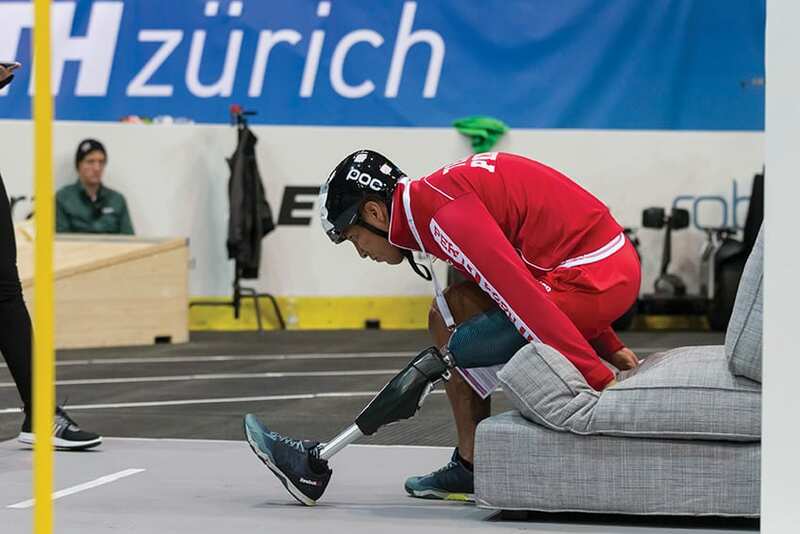 The world’s first Cybathlon was held October 8, 2016, in Switzerland. The event drew approximately 4,600 attendees to support the 66 teams from various countries who competed against each other using the latest assistive technologies. 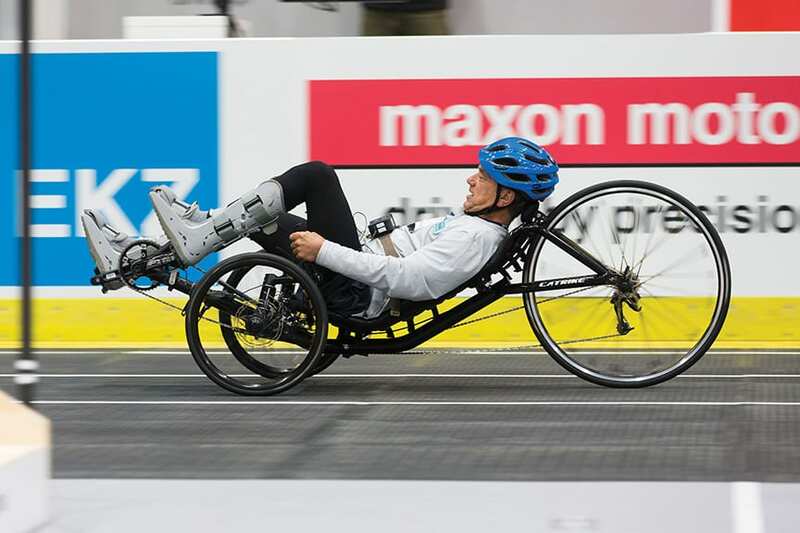 Since one of the Cybathlon’s goals is to promote the development of assistive technologies that help people with disabilities, the various competitions are deliberately designed around day-to-day tasks and are aimed at nonathletes. The pilots (competitors) demonstrated their skills and assistive devices in six disciplines during a full day of events. Each pilot was accompanied by a team, and around 400 contestants participated. 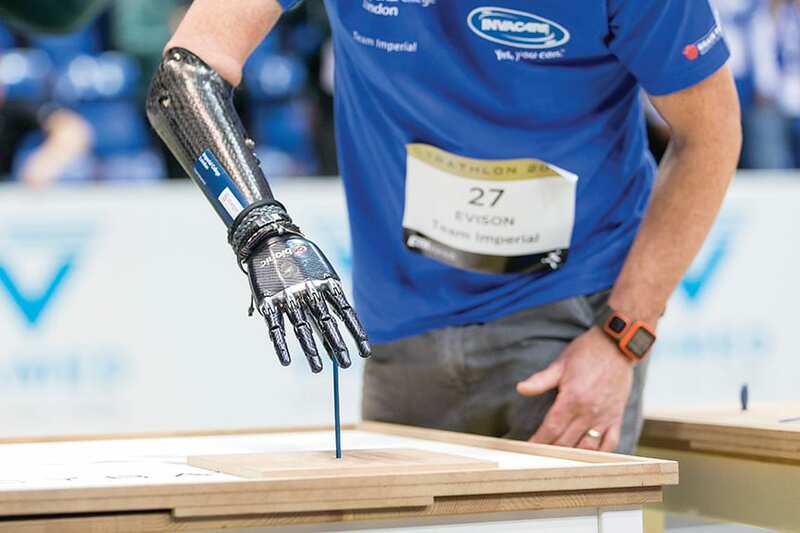 A second Cybathlon is planned to take place in four years. For more information, visit www.cybathlon.ethz.ch/en. Helgi Sveinsson, Team Össur RHEO KNEE. lower-limb competition. In addition to Sveinsson’s gold-medal performance using an Össur RHEO KNEE XC, teammates Billy Costello (using an Össur running leg) and David Jonsson (using an Össur POWER KNEE) took silver and bronze, respectively. Robert (Bob) Radocy, Team DIPO Power, is a below-elbow amputee who was using a Patriot graphics version/model of the TRS body-powered GRIP 5 V/C Prehensor. Patrick Mayrhofer, wearing an Ottobock Michelangelo hand, and Magnus Niska, who has an osseointegrated prosthesis, took silver and bronze, respectively. Claudia Breidbach, wearing a Touch Bionics i-limb quantum, came in fourth.